The year has begun dark, cloudy and stormy with little colour in the landscape and rarely any distant views. Gale has followed gale, thaw has followed freeze then freeze followed thaw. The snowline has risen and fallen on the hills. In the glens and forests there has been rain. Followed by rain. Today that changed. A brief ridge of high pressure brought sunshine and blue skies. The land leapt alive with brightness. 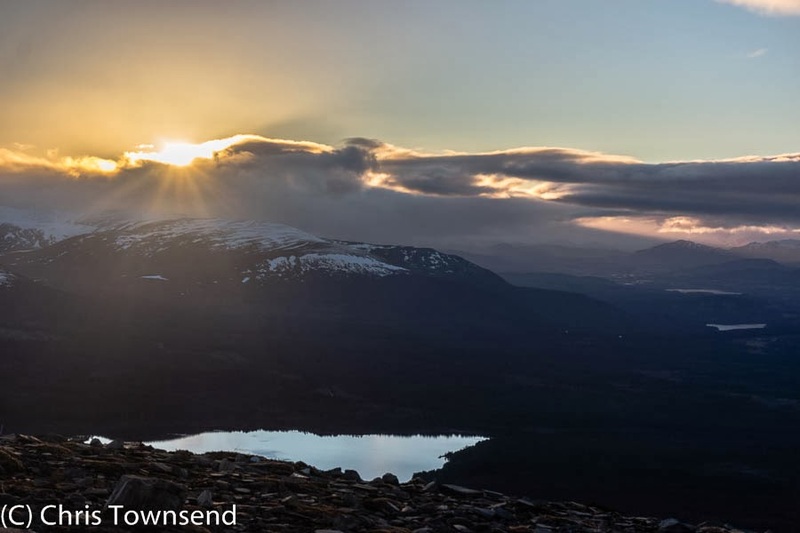 I wandered through the forest and Ryvoan Pass then climbed the wet slopes of Meall a'Bhuachaille. 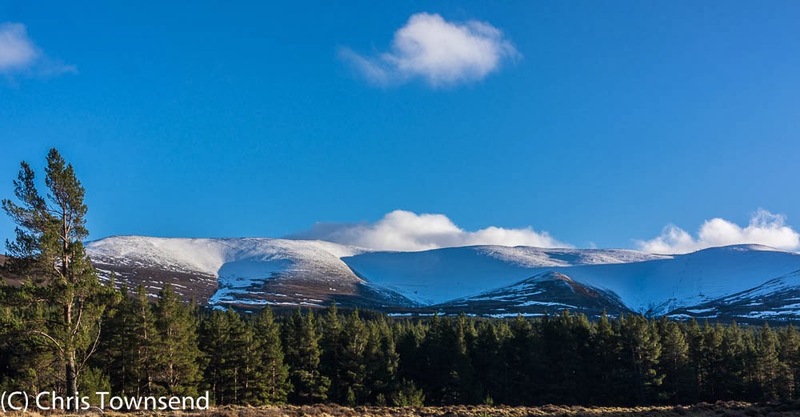 To the south the high Cairngorms shone with fresh snow. 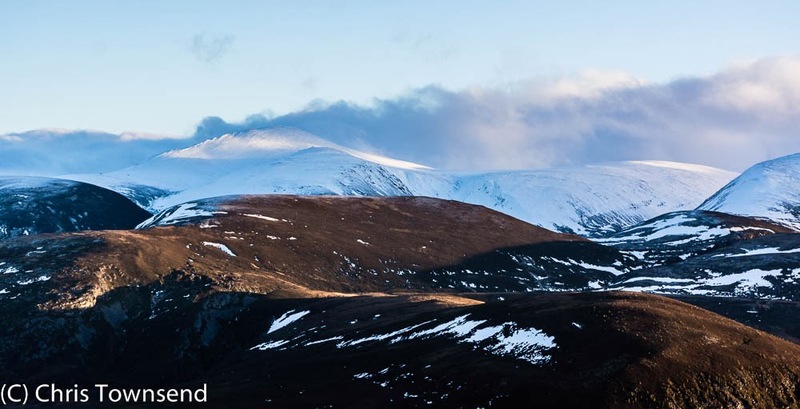 As I gained height a cold wind came out of the west and I could see a thick band of clouds hanging over the hills towards the low sun. 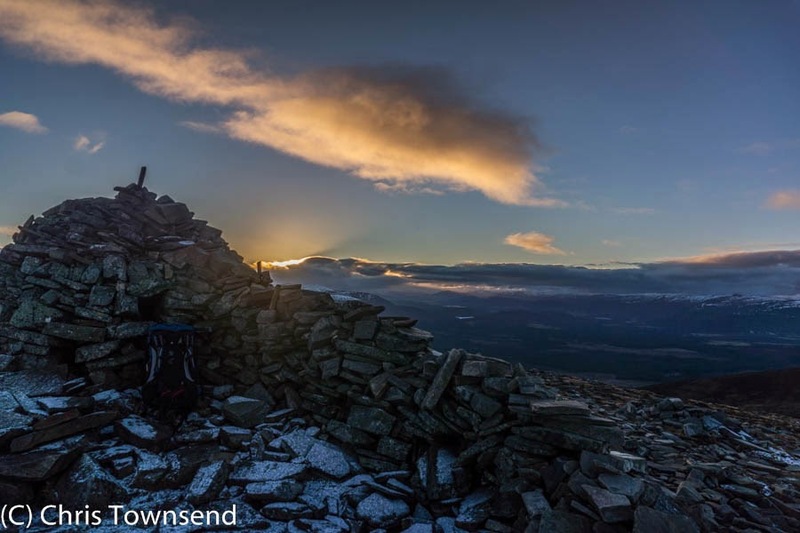 On the summit of Meall a'Bhuachaille I was glad of the shelter of the summit cairn and the surrounding crude stone walls. In the forest I'd had my jacket unzipped in the almost warm sunshine. Up here I had my hood up and needed hat and gloves, the icy wind and a dusting of fresh snow reminding me it was winter. Protected from the wind I watched as the sun sank into the clouds and the sky began to darken. Drifting clouds glowed with the last sunshine. Then, munching some chocolate for energy and warmth, I set off down the rather slippery frozen stony path. 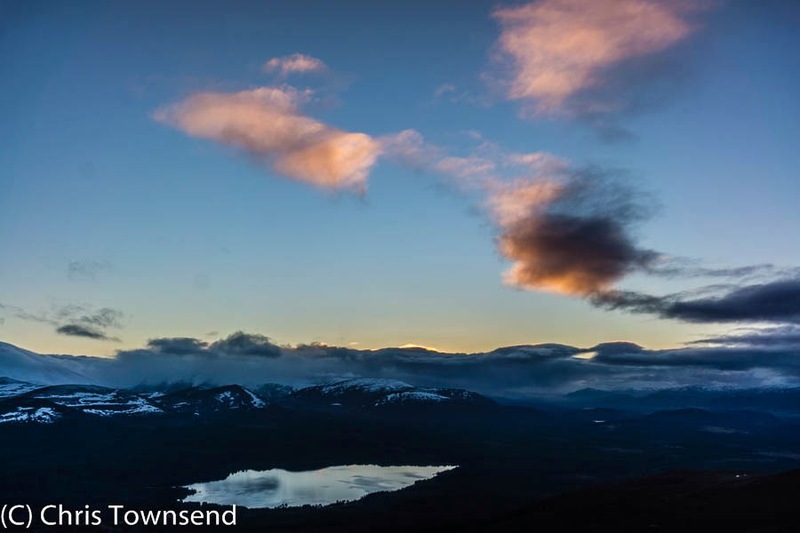 Below Loch Morlich sparkled and shone, a bright space in the growing blackness of the forest. There was colour still in the sky - drifting pale pink clouds in the vast blueness. Tomorrow the storms are forecast to return.